T-shirts are on first come, first serve basis and may not be available in all sizes or on race day. Please register early! 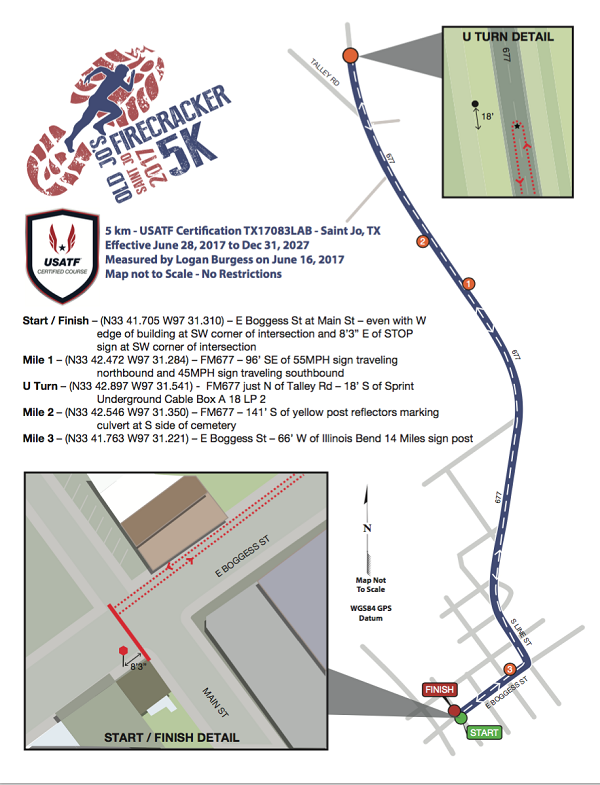 Tuesday, July 4th at 8:00 a.m.
ALL runners must be checked in prior to 7:30 a.m. race day. See you on the Square in Saint Jo. Get your 4th off to a running start! When this page loaded, the official time was 1:03:49 PM EDT.